Each of our free timeclock trial versions is fully functional for 30 days. There are no restrictions on the number of employees you can track, the number of time punches your employees can record, or the number and type of reports you can run. What you see in the trial is what you’ll get if you decide to buy Time Clock MTS. Being able to run it for 30 days means you can use Time Clock MTS for at least one full payroll period and get to know (and love) our software. 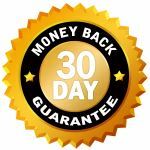 If you decide to register your Time Clock MTS trial we still offer a full 30 day, no questions asked money back guarantee. Not sure what time Clock MTS Edition to Choose?